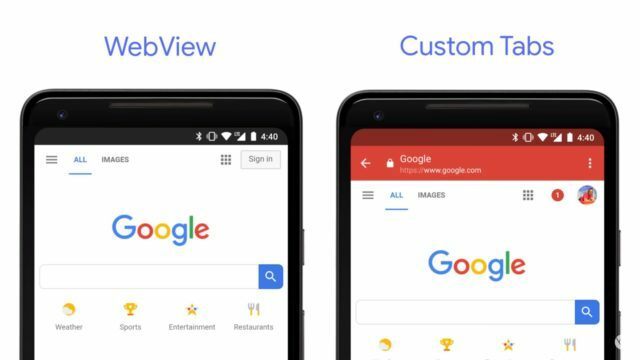 In 2017 Chrome Dev Summit, Google announced an interesting concept for Chrome in Android known as Trusted Web Activities. This means that by using the user’s preferred browser, there is a way to possibly launch full-screen web content from any native app. Now, Chrome 72 version for Android comes with the Trusted Web Activity feature, which allows developers to publish PWA (Progressive Web Apps) on the Google Play Store from their browser. Maximiliano Firtman, a web and app developer, was first to notice this change. He posted an article on the significance of PWAs over Google Play Store. According to Firtman, publishing PWAs on Play Store has many advantages — for instance, Background services accessing native features, Wear OS support, Limited monetization of the app, Home screen Widget, Better internalization support and more. At present, the developers can integrate their browser experience in two ways – Web view and Custom tabs. With Trusted Web Activities, powered by Custom tabs, developers can incorporate their content on their own which is served directly from the web. This new feature is, indeed, a massive technological shift, carving a new way of smoothly blending a web content into an Android app.